Manchester United suffered a shocking 1-0 loss at home against bottom-placed West Bromwich Albion on Sunday, which helped rivals Man City win the Premier League title. United were behind City by 16 points prior to the game, after Pep Guardiola’s side managed to beat Tottenham Hotspur 3-1 at Wembley. A win for United could have only derailed City’s deserved league title victory, but West Brom had different ideas. The visitors took a 1-0 lead in the 74th minute through Jay Rodriguez and stood tall. 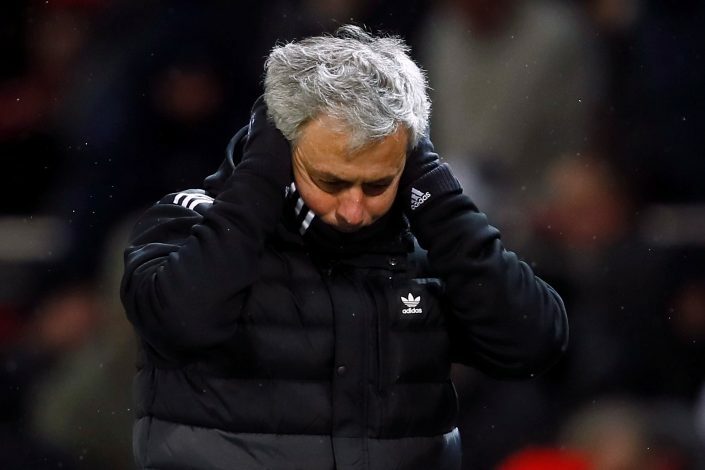 In the post-match conference, Jose Mourinho was angry with his side, and also stated that City deserved to win the title not because United lost on the night, but due to the overall scenario. According to Sky Sports, Jose brought his own example when asked about City winning the title because of United’s defeat on Sunday. “I won titles. I wouldn’t be happy if someone says that I won the title because somebody loses a match,” said the former Real Madrid manager. He went on to give a similar reply on City’s title win. This was Jose’s 2nd loss at home all season in the EPL, as second-placed United stay just one point ahead of Liverpool. The Portuguese was criticised heavily by fans and pundits after the match for a poor performance against a team that looks likely to be relegated.